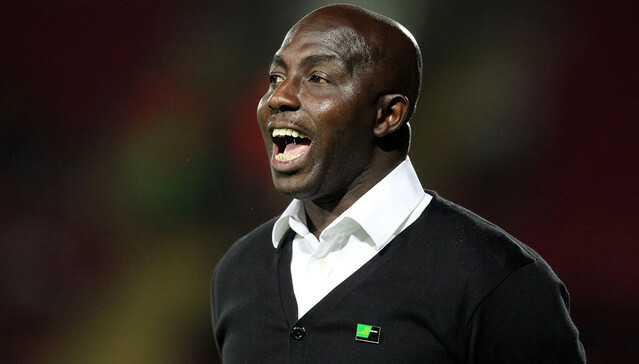 Interim coach Nigeria national team Samson Siasia has expressed disappointment with Nigeria's inability to qualify for next year’s AFCON, saying his team were “broken” and unlucky to beaten Egypt. The Super Eagles will not feature at Gabon 2017 after they lost 1-0 to Egypt in Alexandria on Tuesday night after playing out a 1-1 draw with the same team in Kaduna last week. It will be the second straight time in two years that Nigeria failed to qualify for the AFCON after they also did not advance to the 2015 tournament in Equatorial Guinea. “We inherited a broken team, but we worked so hard, but it was not to be. “I’m proud of the boys. We were not lucky right from the first game in Kaduna. And God knows why. Olympic team coach Siasia took charge of the team a month ago in temporary capacity after Sunday Oliseh quit citing lack of support from the Nigeria Football Federation (NFF).